A food supplement which is rich in omega-6 essential fatty acids, linoleic acid and gamma-linolenic acid. This is the ideal supplement to maintain healthy skin, flexible joints and all metabolic functions. Adults and children over the age of 6 years - 15 drops (1ml) daily with food. As a cosmetic - massage twice daily onto the face and body as required. 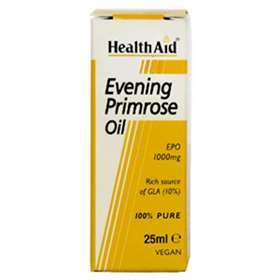 Pure evening primrose oil (oenothera biennis), with a minimum 10% GLA. Do not use if you are an diagnosed epileptic.